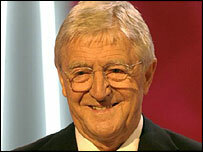 Michael Parkinson, who has announced he is leaving the BBC to join ITV, is regarded by millions as the undisputed king of the chat show. "Parky" first hosted his celebrity interview show in 1971. Over the next 11 years he welcomed hundreds of guests to BBC Television Centre in west London, from Hollywood stars to sporting legends. Some of his memorable guests included Mohammad Ali, Richard Burton, John Lennon and Princess Anne. Kenneth Williams and Billy Connolly became regular fixtures, and in 1976 he was memorably attacked by Rod Hull and his glove puppet Emu. 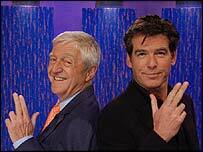 Despite his popularity, Parkinson's Saturday night show ended in 1982, only to return in 1998 on Friday nights. The show again attracted top celebrity names, from David Beckham and Robbie Williams to Nicole Kidman and Sir Elton John, and was soon returned to its traditional Saturday evening slot. Parkinson was born in 1935 in Cudworth, near Barnsley, and was educated at Barnsley Grammar School. He learned his trade on local newspapers in Yorkshire before becoming a feature writer on the Daily Express in London. His early experience was in current affairs at Granada Television, where he worked on World in Action and What the Papers Say. In 1965 he began writing a weekly sports column for the Sunday Times. In 1969 he took over as host of Granada's Cinema series before going on to present Thames Television's afternoon show Teabreak with his wife Mary. But it was his Saturday night chat show that sealed his reputation, running for 361 editions and attracting millions of viewers each week. Other ventures have proved less successful, notably his involvement as one of the original "famous five" presenters of ITV's TV-am breakfast news show. But in recent years he has consolidated his revived popularity with a radio show on BBC Radio Two and another sports column, this time for the Daily Telegraph. 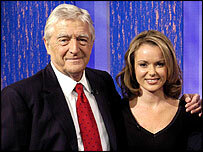 Parkinson has been outspoken in his attacks on other chat shows, which he has dismissed as "gimmicky, loud, vulgar and totally incomprehensible". "The show I do ain't Pulitzer Prize, but compared to [the others] it is," he said in 2001. "The public aren't daft. If you can't do your job, television shows you up terribly." Parkinson was awarded the CBE in 2000. Earlier this year he was a guest host on BBC One's topical news quiz Have I Got News For You.